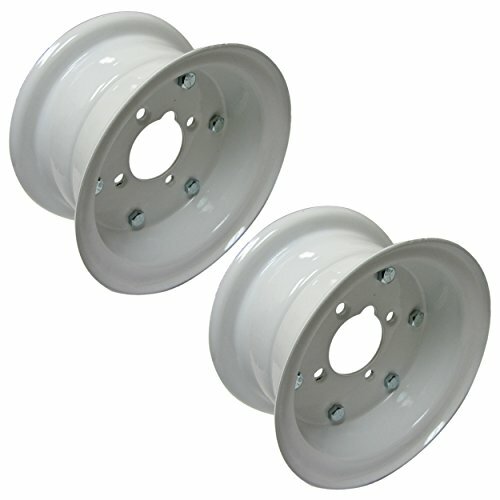 Set of 2 - White Powder Coated 6" Split Rims with Hardware. Product Specs: 4 hole split rim on a 2-13/16" bolt circle. 2" center hole. Outside Width: 4". Outside Diameter: 7-1/4". Bead Width: 3.2". Outside Diameter for Tire: 6". Comes with bolts, nuts, and washers. If you have any questions about this product by BMI Karts, contact us by completing and submitting the form below. If you are looking for a specif part number, please include it with your message.